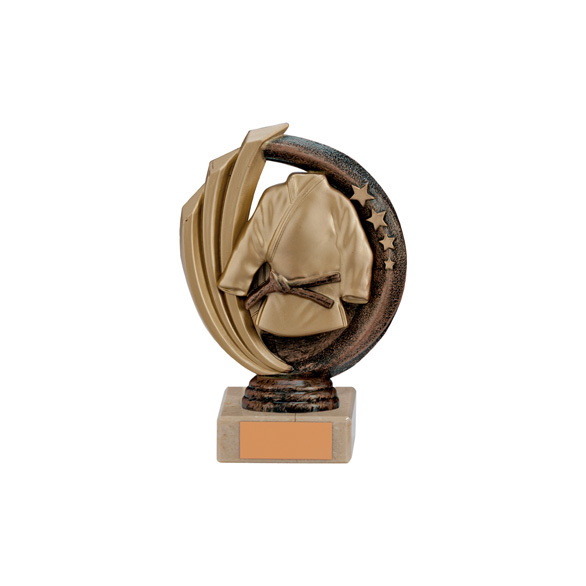 Showcasing an attractive plaque with a martial arts Gi and decorative border, the Renegade Legend Martial Arts Trophy is finished in an antique bronze effect and mounted on a solid marble cream base. The trophy is coated in a protective glaze for additional shine. 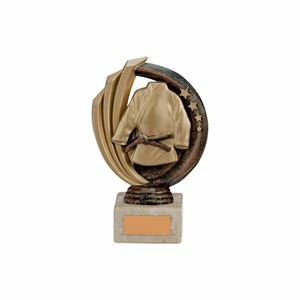 Offering great styling for a competitive price, the Renegade Legend Martial Arts Trophy features a plastic shield set on a marble plinth. 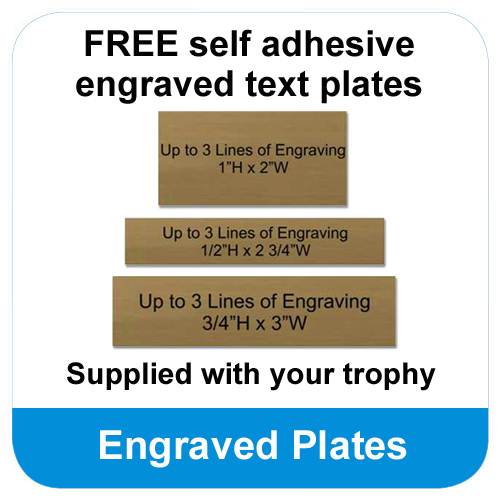 The trophy is finished in an antique bronze lacquer and comes in 2 sizes with FREE engraving.